Before joining Gravyty, Nima was working as a graduate research assistant in the Mechanical Engineering Department of Northeastern University. He has deep knowledge in data science - both theoretical and applied - which has taught him how to identify and answer data-relevant questions and then how to use that knowledge for the benefit of others. 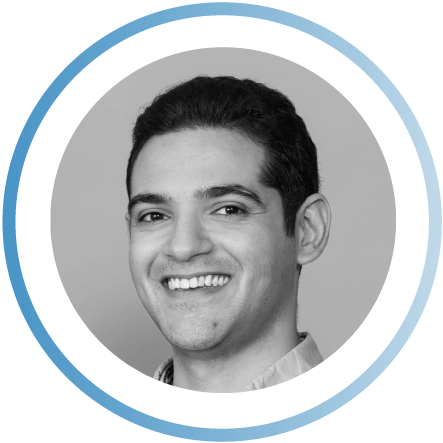 Nima is a Director of Data Science at Gravyty and has a passion for helping nonprofits improve and close more donations using tools powered by artificial intelligence. Nonprofit data is rich and complex, yet often under-utilized, which makes his job immensely enjoyable! Nima is responsible for digging into data and finding new patterns to understand the behavior of donors. Additionally, he develops and improves tools for fundraisers to make their work easier and help them build deep, meaningful relations with donors. Nima received his PhD degree from Northeastern University with a Graduate Masters Certificate in Data Science. He is an adventurer, and in his free time, he enjoys playing musical instruments, traveling, cooking, camping, and reading.